Established in 1998, this UK based firm specialize in high quality Canine Treats. The proprietors came to use to create an all new e-commerce website to promote and sell their fantastic products. 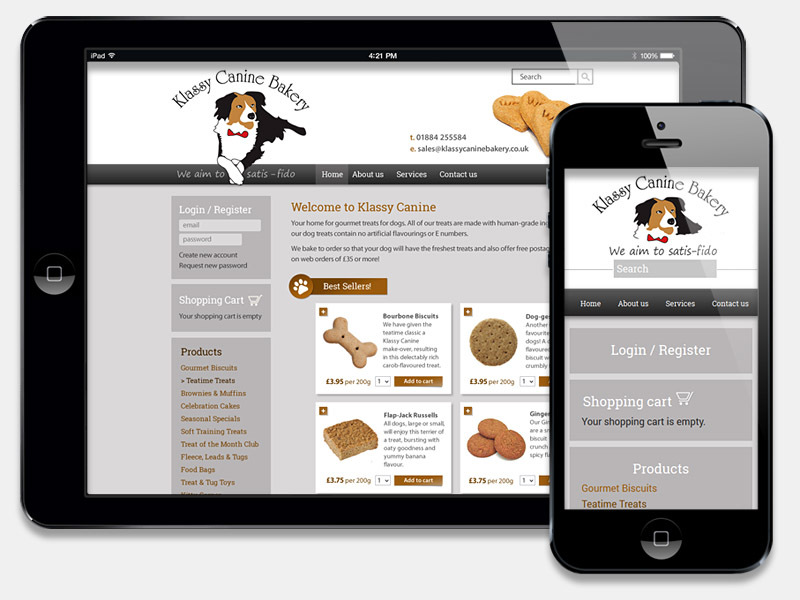 Klassy Canine came to us to develop a fantastic new e-commerce site that would allow them to sell their products directly to the public. Based on the latest Drupal e-commerce content management system, the new responsive website allows the client to update and manage their entire product range, gather customer details for Newsletters and marketing and promote specific products and promotions. We think that the new website looks fantastic! Thanks for all your hard work in making this fantastic site"